Though John Glenday has long been admired for his lyrically delicate and emotionally powerful poetry, he has remained something of a well-kept secret. His third collection, Grain, makes his singular talent available to a wider audience. Sometimes Glenday's poems are forcefully direct; sometimes they are so quiet they feel as if they were composed within a capacious listening, as a form of secular prayer. Glenday's seamless lyric can also disguise some wild and surreal tales: the Beauty and the Beast told in reverse, a bizarre list of new saints, or a can of peaches waiting for the invention of the tin-opener. However, the lasting impression is of a genuinely spiritual poet, one with the ability to turn every earthly detail towards the same clear light. 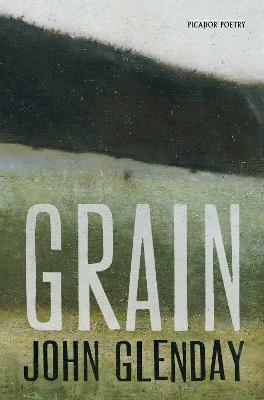 Grain announces Glenday as an essential voice in contemporary poetry. John Glenday was born in Broughty Ferry in 1952. His first collection, The Apple Ghost, won a Scottish Arts Council Book Award and his second, Undark, was a Poetry Book Society Recommendation. He lives in Cawdor, and works for NHS Highland as an addictions counsellor.